City Lights Sign Co. works out of a warehouse in Ballard. 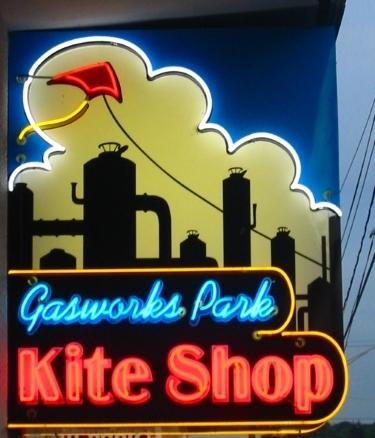 A backlit and neon sign was created for Gasworks Park Kite Shop. 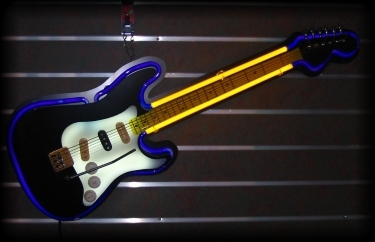 This neon guitar art piece was built from a Fender Stratocaster.